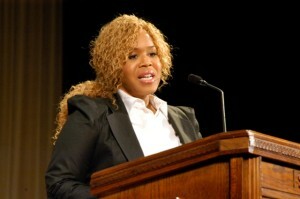 Like many around the world, Tina Campbell was shocked to see news reports of modern-day slavery in Libya. She watched the CNN report in horror and was driven to action. 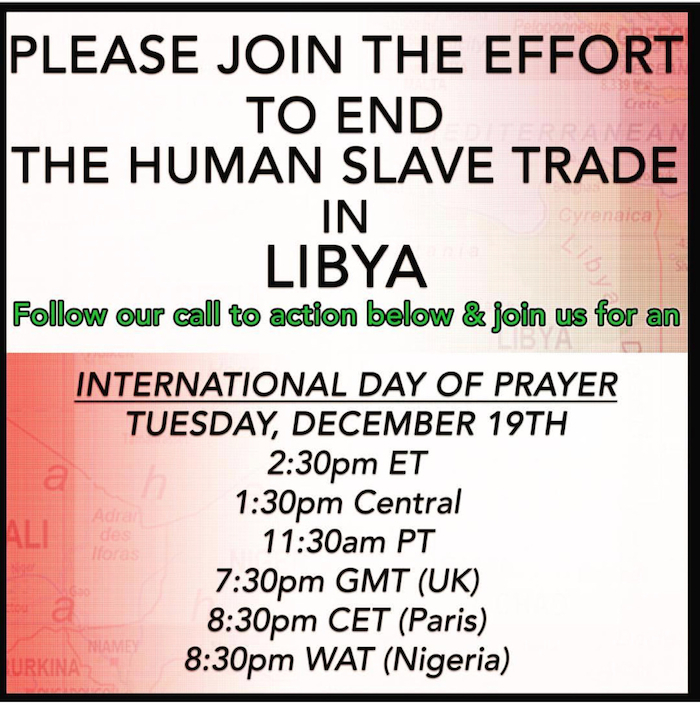 To that end, Tina is enlisting the support of believers around the world to join her in an International Day of Prayer against the injustice and human rights violations happening in Libya today. Tina is encouraging everyone join her on Tuesday, December 19 at 2:30pm EST / 11:30am PST. She will be joined by Christian leaders, ministers and pastors from around the globe to pray for the intervention and end the atrocious practice of slavery in Africa and around the world. In addition to the International Prayer Day, Tina is also sharing practical ways for everyone to get involved in helping to end slavery. Contact Social Media companies. According to the IOM, smugglers have used Facebook Live to broadcast videos of imprisoned migrants in Libya. They send these videos to migrants’ family members as a way of extorting money for their release. The IOM is asking social media companies to ban the use of their services for the sharing of these types of videos. Contacting your congressman is easy with ResistBot: https://resistbot.io Text RESIST to 50409 or you can even message them on Facebook and send them your message and your concerns, and it will be forwarded to your local US representatives. This entry was posted in Gospel, Interviews, Reviews, World News and tagged CNN, International Day of Prayer, Libya, slavery, tina campbell by Kris Patrick. Bookmark the permalink.